This is it. This is the wine that I was most looking forward to having again from Matchbook, and that's why I saved it for last. 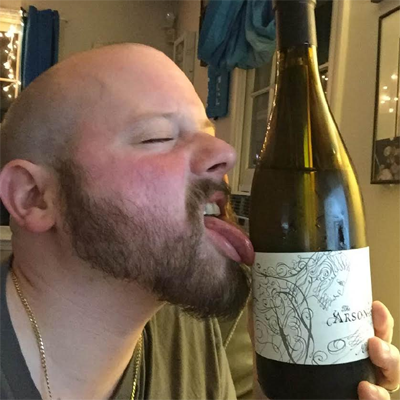 This is the new vintage of The Arsonist Chardonnay. The 2012 was phenomenal and the 2013 is right here in front of me. I'm more excited than a comedian when Donald Trump announced he was running for President. Let's do this! It's all Chardonnay, baby. 95% of it comes from Matchbook Vineyard in Dunnigan Hills and 5% comes from the Aquarius and Gary Nelson Vineyards in Russian River Valley. It was barrel fermented with the lees kicked up often for flavor. Then aged for six months in French, American, Hungarian and hybrid oak. 45% was new oak, 20% one year old, 20% two year old, and 15% was older. The final ABV is 14.1%, surpringly high for a Chardonnay. At least from what I've seen. It looks like white grape juice in color. I know that's redundant because that's what it is, smartass. But I'm talking about the non-alcoholic white grape juice by Welch's or something. Have you had that stuff? I don't think I did before we had our daughter. The first time tasting white grape juice was a revelation. Nomnom! But anyways, it's got that same color of yellow. THIS HAPPENED. DEAL WITH IT. On the nose there's aromas of butterscotch, buttered popcorn, corn muffin and pineapple. It just beckons you to enter into Chardonnay heaven like mermaids luring in sailors with their songs. On the palate I get pineapple, canned pears, butterscotch and banana. Rich and smooth mouthfeel, medium body, excellent balance with all these things playing nicely with its acidity. I feel like the 2012 had more wood flavor from the oak than the 2013, but that doesn't even bother me because it's still amazing. 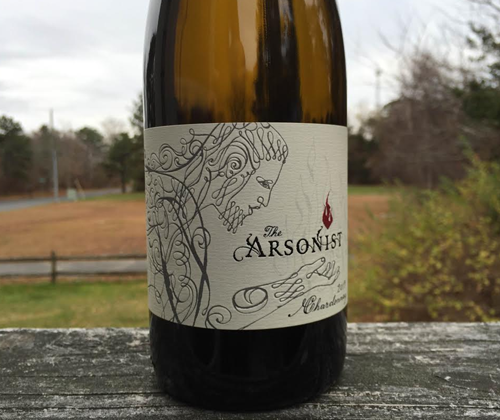 In my opinion the Arsonist places in the top five Chardonnay's in the $20 price range. No diggity, no doubt. In fact, there's only one Chardonnay in that price point that I carry at work that I would suggest above it: Scott Family Chardonnay. But how many $20 Chardonnay's have I had? It's gotta be a pretty impressive tally. There's no shame in silver, especially when you still get a perfect score. If $20 is in your budget for a Chardonnay, you see this badass sitting there just waiting to be purchased, and you still don't end up buying it then I will be severely disappointed in you. That's it for Matchbook Wine Company Month. I'd like to thank Matchbook Wine Company for making this whole month possible. It was fun and very delicious. Keep up the good work, guys.